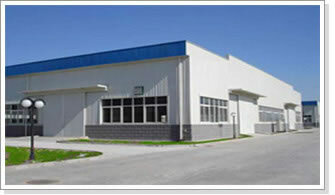 Jineng HardWare WireMesh Product Factory,was founded in 2002.Our factory is located in the Asian largest production base, has the Chinese silk screen "silk screen of the township" the reputation of hebei anping county territory,covers an area of 20 mu,more than 50 employees,professional and technical staffs and 10 senior engineer ,is engaged in professional screen and deep processing of the modernization of the first-class enterprise. Our factory equipment is advanced, technical force is rich,with high precision CNC machine tools, large bending machine, punch, shear machine tools, argon arc welding machine, plasma welding machine, welding machine, welding seam rolling, spot welding, plasma cutting machine, the center of the spiral pipe bender and other facilities.The main production filter cartridges, filter, filter, tapered cartridge, soot filters and metal mesh, wire, wire mesh fence, gabion mesh, welded mesh and other precision stamping parts such as the eight series over three hundred kinds of wire mesh products products are widely applied to environmental protection, petroleum, chemical, medical, research, metallurgy, food, machinery and other industries. Special products can be custom-made production according to customer's requirements. Our aim is always to follow the customer first, at your service approach. To this end, we will continue to carry out technological innovation, product replacement, in line with your career development to provide our best quality and service.